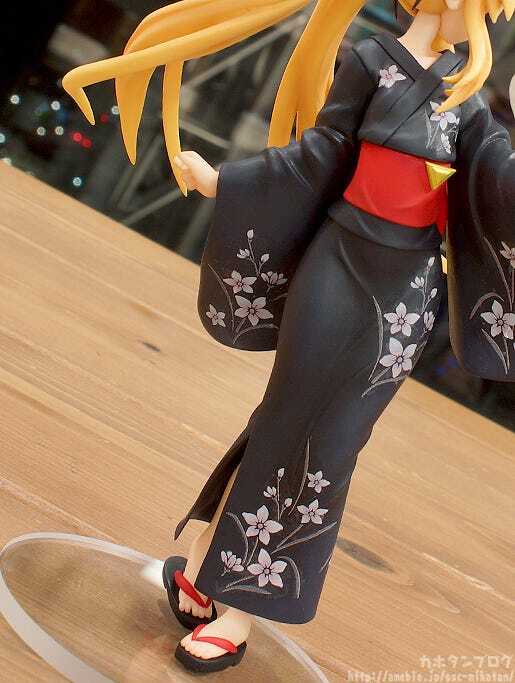 Kahotan's Blog | GOOD SMILE COMPANY Figure Reviews | Nanoha, Fate and Hayate: Yukata Ver. 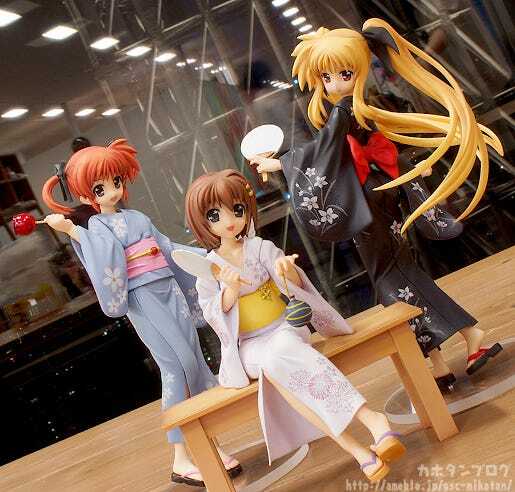 Nanoha, Fate and Hayate: Yukata Ver. I saw a pear flavoured Gari-*ri-Kun Popsicle and realised that we are well into the summer! I relied a lot on them last year to get me through the heat, and I’m sure they will be needed again this year! Nanoha Takamachi: Yukata Ver., Fate Testarossa: Yukata Ver. 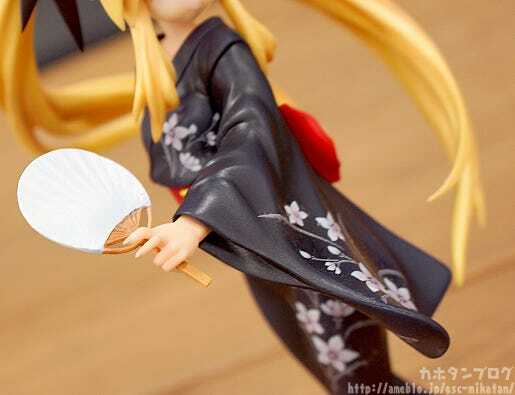 and Hayate Yagami: Yukata Ver.!! The magical girls are all dressed up in yukatas together! Each of the yukatas have colors and patterns that match up with the respective characters as well! They also come holding paper fans, balloon yoyos and candy apples to bring out the festival atmosphere! 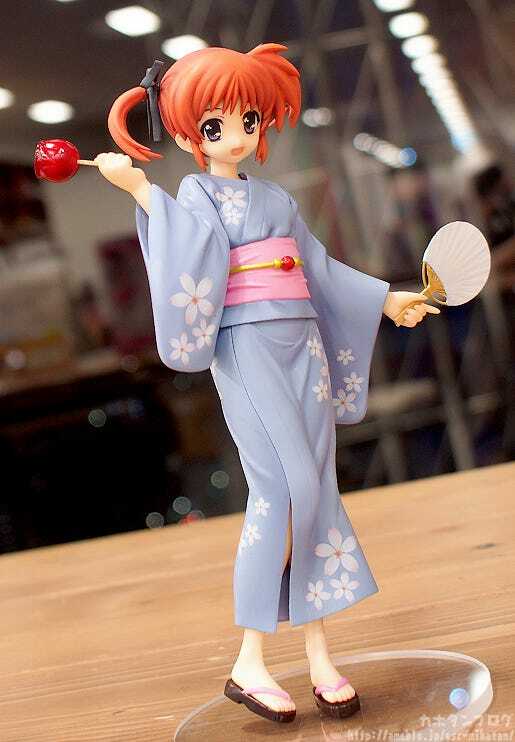 From the popular anime ‘Magical Girl Lyrical Nanoha the MOVIE 2nd’ comes a figure of Nanoha Takamachi wearing a yukata! The yukata provides a whole different charm to her standard barrier jacket appearance, and is packed with cuteness for fans to enjoy. A candy apple and folding fan are both included to help bring out the feeling of a Summer festival. Be sure to add this beautiful magical girl to your collection! The light blue yukata with cherry blossom prints suits her beautifully! The fact that Raising Heart is a part of her belt is also a lovely touch! She is holding a candy apple in her right hand! Not only is the sticky, shiny appearance of the candy apple preserved in figure form, the intricate little fingers holding the stick are amazing too! Another thing I just have to point out…! Look at the curves you can make out even through the yukata! 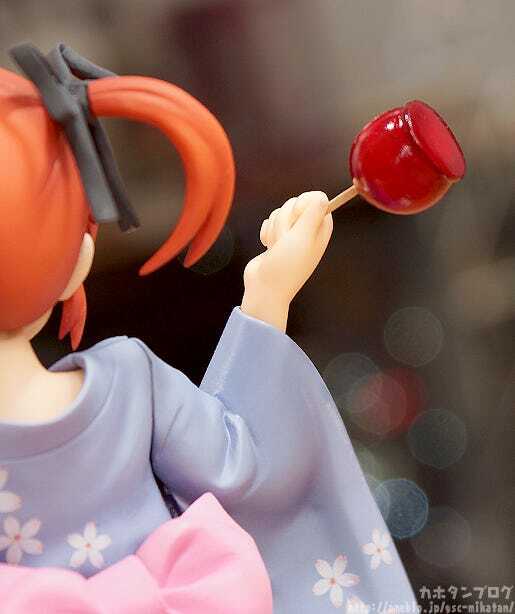 From the popular anime ‘Magical Girl Lyrical Nanoha the MOVIE 2nd A’s’ comes a figure of Fate Testarossa wearing a yukata! Fate has moved away from all the battles, allowing her beautiful smile to be enjoyed by fans in a much more gentle pose. Be sure to add this beautiful magical girl to your collection, and display her with Nanoha and Hayate from the same series! Fate-chan has a rather mature look with an indigo yukata and bellflower prints! She is sculpted holding a fan, and once again the delicate looking fingers are simply amazing! The creases along her arm are also fantastic! 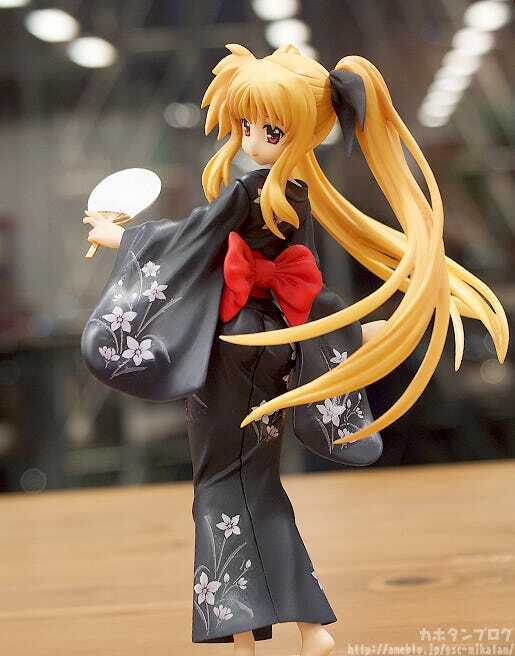 From the popular anime ‘Magical Girl Lyrical Nanoha the MOVIE 2nd A’s’ comes a figure of Hayate Yagami wearing a yukata, which brings out a slightly different charm to her normal outfits. Be sure to add this beautiful magical girl to your collection, and display her with Nanoha and Fate from the same series! 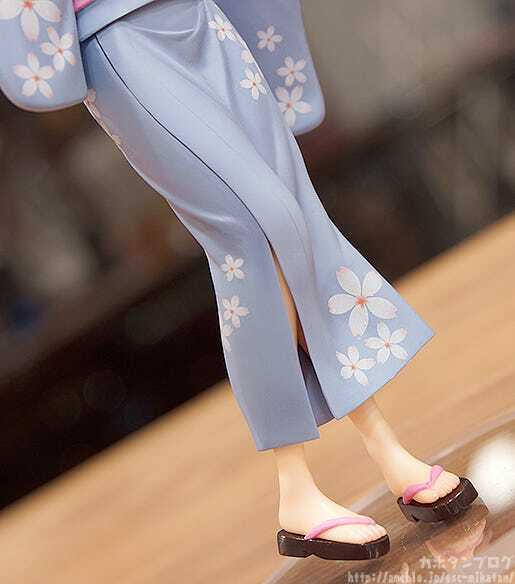 The tight look of the yukata captures her curves all the way up her thighs! There is no point in putting this into words…! She looks lovely from any angle, but I definitely think that the look from the back is once of the best! It really gives off a strong feeling of Summer time nostalgia! 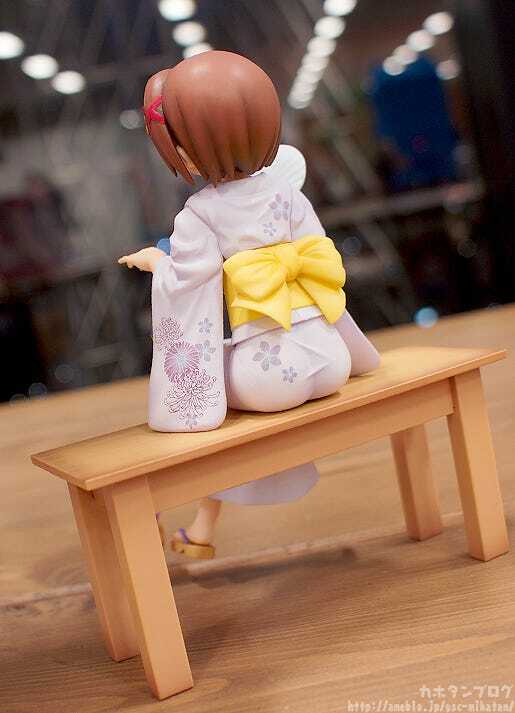 The way her legs are visible from the bottom of the yukata is also great! She and the others are simply a fantastic set!! 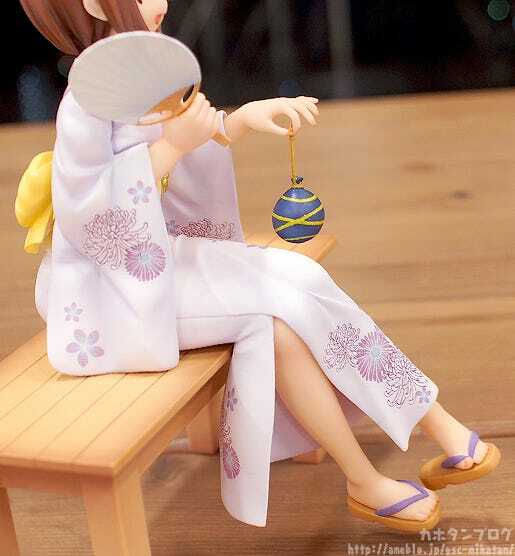 ◆ Nanoha Takamachi: Yukata Ver. : Until the 23rd July at 21:00JST! ◆ Fate Testarossa: Yukata Ver. :Until the 30th July at 21:00JST! 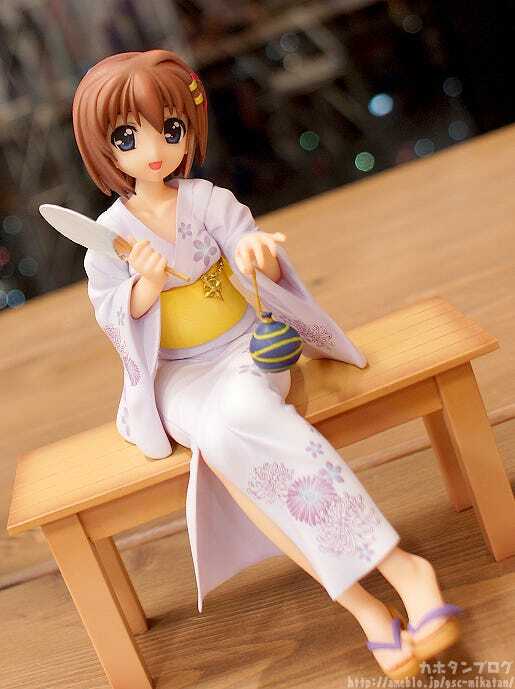 ◆ Hayate Yagami: Yukata Ver. :　Until the 6th August at 21:00JST!